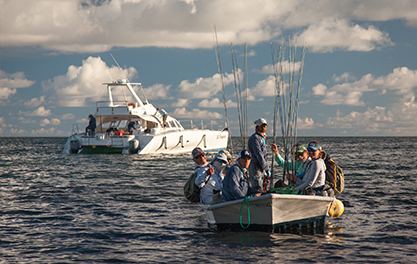 Go on the fishing trip of your lifetime. It’s that time of year again – The Fly Fishing Film Tour 2017 is coming to South Africa. F3T South Africa is fishing’s most EPIC cinema event. Originally from USA, it is the largest tour of its kind with each show being a high-energy celebration of fishing greatness. Offering South African fly fishing film makers the opportunity to create new content as well as providing them with a platform to showcase their work in the form of F3TSA and The South African Fly Fishing and Fly Tying Expo, this tour presents the best captured by the best, in more ways than one. The next #F3TSA tour lands in May 2017 and you are invited. Catch the most anticipated fly fishing cinema event in Durban, Cape Town and Johannesburg this May. Book your tickets today for an evening of high-energy celebration and your chance to reel in the big one. Your ticket includes welcome drinks and your chance to WIN gear worth over R300 000! Fly Fishing Film Tour South Africa – Stoke Reel from Capt Jack Productions on Vimeo. Copyright © 2016 Alphonse Fishing Company.